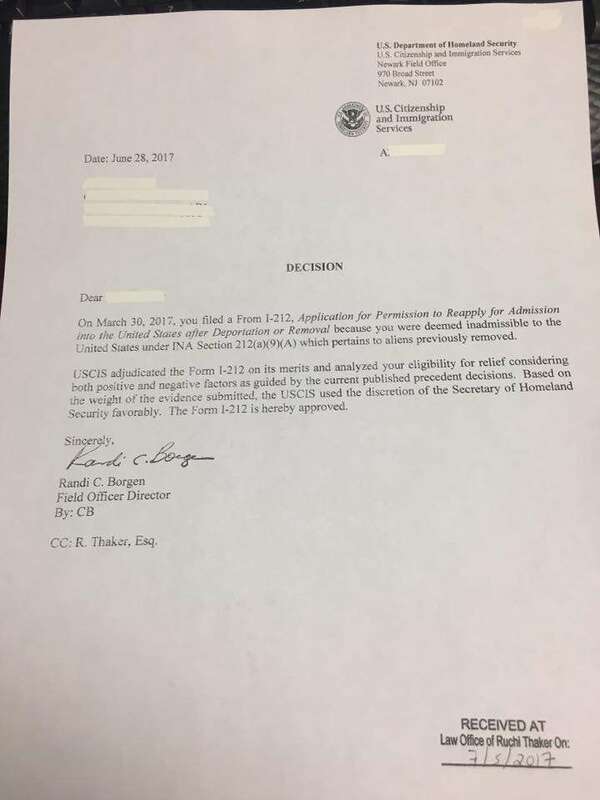 USCIS > I-212 Waiver Approved! So thrilled to get this I-212 waiver approval in the mail today! These cases are not easy to win. Such waivers require showing extreme emotional and financial hardship to the US citizen relative/petitioner. Working very closely with my client, we put together a detailed documents package to show emotional and financial hardships, and requested an expedited approval. 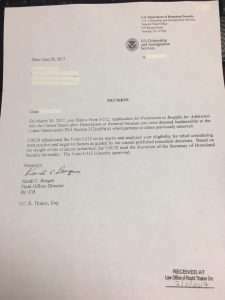 Decision was made within three months of filing (which is considered fast in immigration). So happy that my client will be reunited with spouse very soon! Ruchi Thaker is New York City-based immigration attorney with extensive experience and excellent reputation for effective legal representation in simple and difficult immigration cases. I have experience in areas of deportation defense (criminal and non-criminal), federal court litigation, representation on appeals and motions with the immigration courts and the Board of Immigration Appeals, family-based immigration, asylum, naturalization, and consular processing. ← New Form I-485 Asks Many New Questions – Be Prepared!